MUNICH, Germany—Armenian and Azerbaijani Foreign Ministers Edward Nalbandian and Elmar Mammadyarov met OSCE Minsk Group Co-Chairs in Munich, announced the spokesman of Armenia’s Ministry of Foreign Affairs. The meeting was set to discuss the Nagorno-Karabakh (Artsakh) Republic peace process. Asbarez will report on the details of this meeting as soon as it becomes available. Earlier on Thursday, Nalbandian met the Minsk Group Co-Chairs−Igor Popov, Stéphane Visconti and Richard Hoagland−as well as Ambassador Andrzej Kasprzyk, the Personal Representative of the OSCE Chairperson-in-Office separately, and highlighted Azerbaijan’s continuous violations of the 1994-1995 trilateral ceasefire agreements, threatening to solve the issue militarily, thus defying the commitments of the Minsk Group Co-Chair countries. According to the press statement by the Foreign Ministry, the parties stressed that it is necessary to implement the agreements reached at the 2016 Vienna and Saint Petersburg summits in order to peacefully advance the Artsakh conflict. Later in the day, Mammadyarov also had a meeting with the OSCE Minsk Group Co-Chairs. Nalbandian’s visit to Germany on February 16 is part of his participation in the two-day Munich Security Conference. 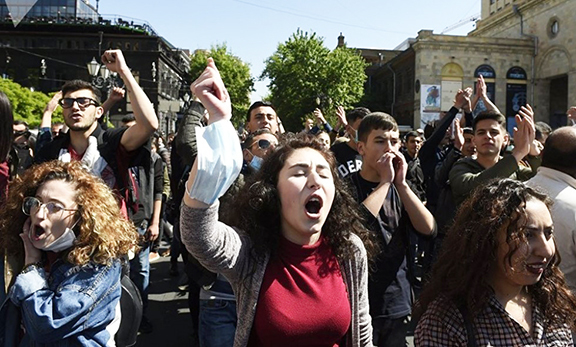 How come Armenia keeps negotiating while Azerbaijan, when Azerbaijan keeps his daily aggression towards Armenians.